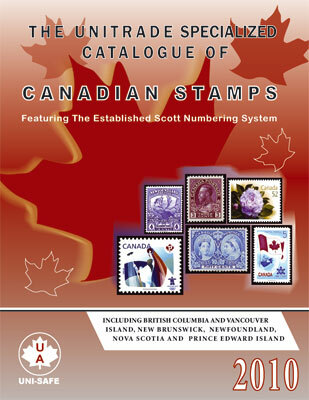 2010 Unitrade Specialized Catalogue of Canadian stamps has arrived! The 2010 Unitrade Specialized Catalogue of Canadian Stamps is fresh off the press and ready for you to order! A must for every serious collector, this catalogue is the ultimate reference for Canadian stamps issued from 1851-present. It is illustrated in full colour on glossy paper and lists most stamp varieties and errors, as well as all the provinces, first day covers, blocks and postal stationery. In addition, it features the established Scott numbering system used throughout the philatelic world. 2009 CWS Canada stamp album supplements have arrived! Hello; Can you tell me if this catalogue has prices for plate blocks and FDC’s ? Yes this catalogue has prices for plate blocks and FDC’s. When and where can I buy this catalogue? The 2010 edition is completely sold out, the 2011 edition should be out in October.